We knew, as a wee babe that we were going to be keeping this boy. This was the only dog that my now over the bridge hubby, Stan, got to name. He had some weird choices in the past but this one was pretty good. 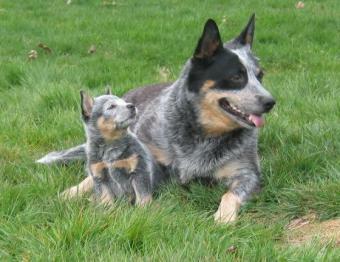 We co-bred Baron with a young Jessica Harris as she had the dam Sara to show. 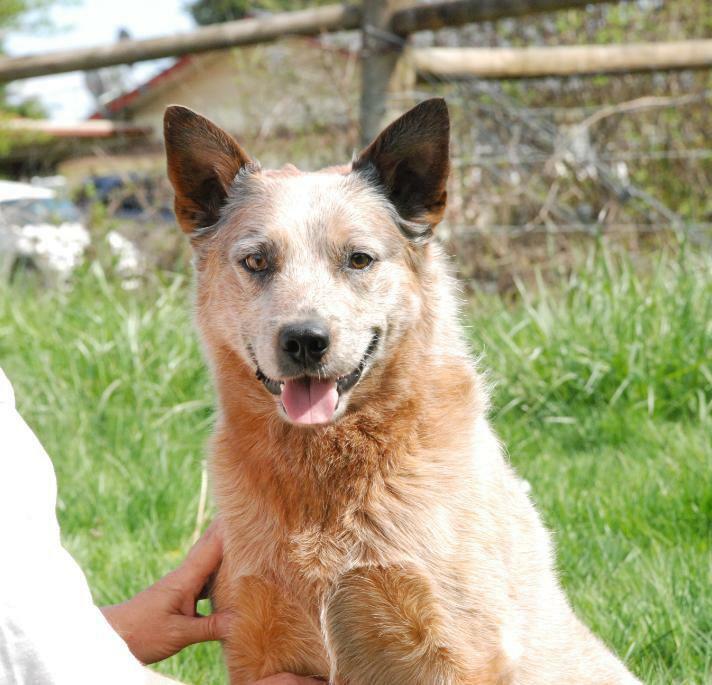 Jessica's kennel name was to be Livewire...and Stan wanted to call him the Red Baron. So we came up with Austlyn N Livewire's Flying Ace in reference to Snoopy's Red Baron character and called him Baron. He grew up to be a big strong boy. He is right at the top of the standard, is easy to keep in top condition, and has many qood qualities. 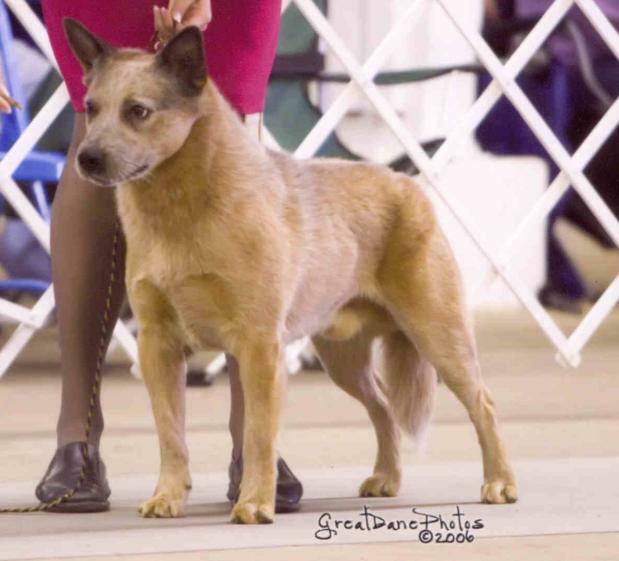 His first time out in the show ring, he met his junior handler 30 minutes before show time at the Cacade Australian Cattle Dog Specialty. With Lori Pruett of DuWest ACDs as judge, Baron won Best Junior Puppy from the 6-9 months class then went on to win BEST IN SWEEPS!!! 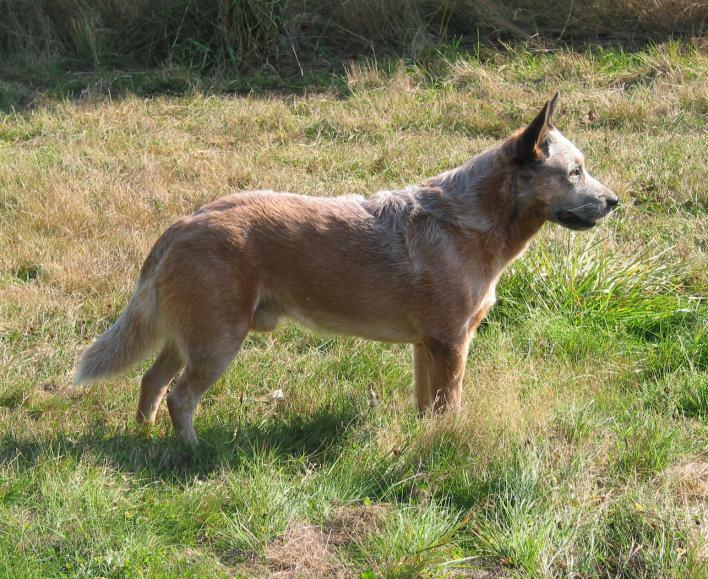 He went to Chris Ann Moore to be shown and later in the year to attend the Cattle Dog Nationals in Mn. He finished quickly and even made the pull at the Nationals for BOB under judge Connie Redhead. 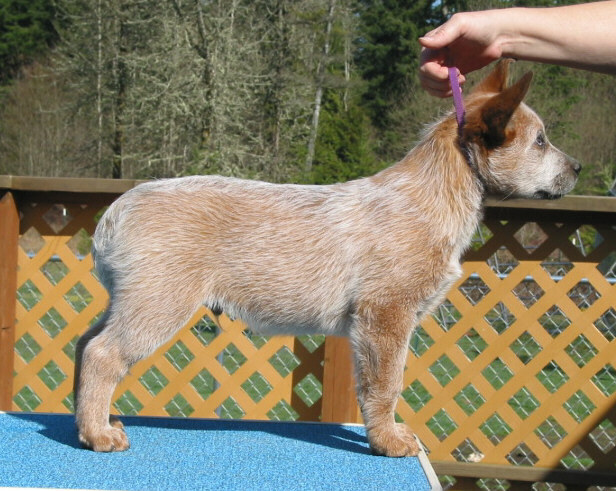 While Baron is a nicely structured dog, with clean movement and a great temperment...he does not care for the show ring. I sent him to the 2007 Canadian Nationals in BC, handled by Penny King. 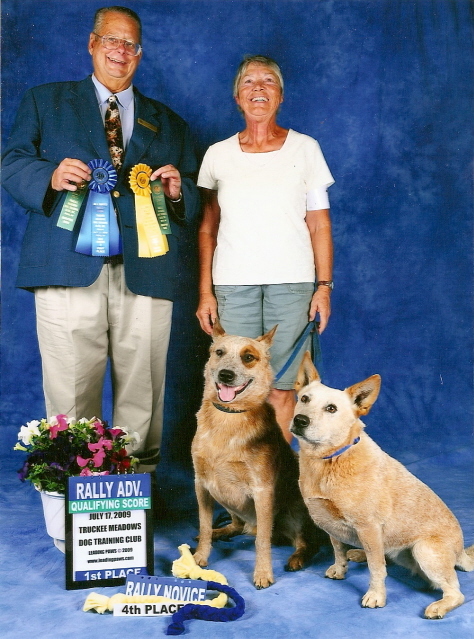 He garnered a 2nd in Open dogs in a very nice class. 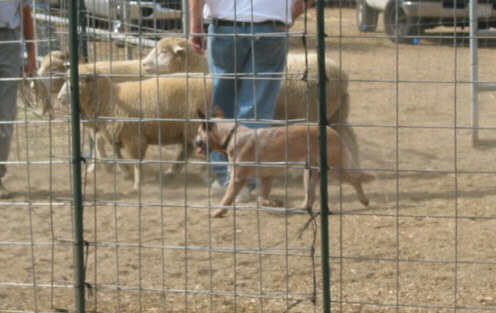 That was his last outing as a show dog..he is content to hang with the gals and test my arm with the Chuck-It.